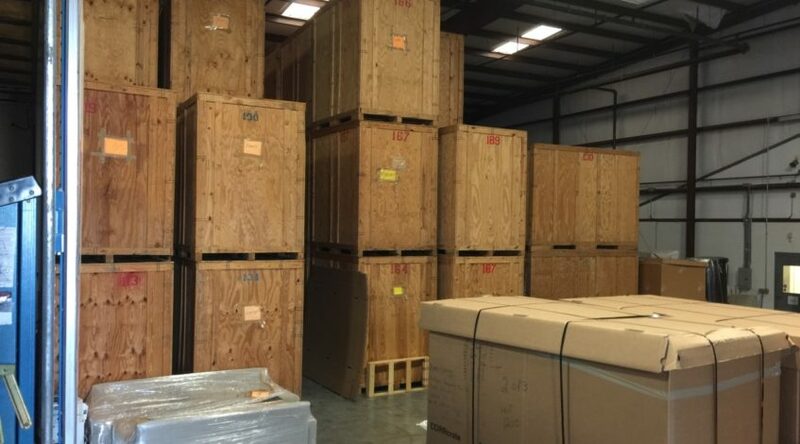 At Saunier Moving & Storage, we understand how overwhelming it can be to undergo a relocation. Big or small, residential or commercial, each move has its own unique set of requirements and limitations. No matter how far ahead you organize your big day and plan every step of the way, the truth is, you can’t foresee everything. That’s why it’s essential to have experts on your side, a professional team that can handle any bump in the road imaginable. When you’re looking for reliable, trustworthy moving and storage companies to get you where you need to go, call Saunier Moving and Storage.As full-service movers, Saunier Moving & Storage also provides climate-controlled warehousing. Whether you’re uprooting your head office and need a temporary container or renovating your home and need a place to stash your stuff, there are many reasons why short or long-term storage is necessary. No matter the reason, our teams are here to serve you with moving and storage you can depend on. We are pleased to be a leader among moving and storage companies, offering a comprehensive suite of services. You can leave everything up to us, from packing to moving, and even unpacking and assembly, or simply schedule basic services with our local movers. We are proud to be part of the industry’s top moving network, North American Van Lines, acknowledged for its experience and accomplished expertise in offering customized, affordable moving options. Contact us today for more information on storage solutions in Winchester, KY, Lexington, KY, and beyond today!